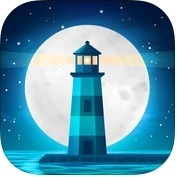 If you are looking the best and excellent meditation and mindfulness app for your iPhone, iPad and Apple Watch, you should check out this AppsList. Here, you can see 12 best meditation and mindfulness apps for iOS devices that guided you meditation tracking or timer for your meditating sessions with amazing musical background sounds, that lets you relax and stress free. These best meditation and mindfulness apps keep your nerves calm. 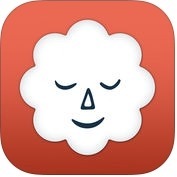 1. buddhify - modern mindfulness for busy lives ( iPhone + iPad ) :- buddhify is the best modern mindfulness app for your busy life. You can use this meditation and mindfulness app on your iPhone, iPad and other iOS devices and, keep your nerves calm and healthy. 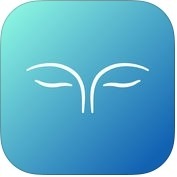 buddhify has lots of unique features such as more than 80 custom guided audio meditation tracks, tracks are designed for more than 10 activities such as sleep, work & difficult emotions, solo meditation timer, integration with HealthKit, tracks range from 5 to 30 minutes, check-in system and, more. You can also stats showing your usage and progress. 2. Complete Relaxation: Guided Meditation for Stress ( iPhone + iPad ) :- With the help of Complete Relaxation app, you can keep yourself stress free and find more peace in your life. Complete Relaxation app has several advance features such as digital HD studio recordings, beautiful designed, modern & latest meditation tricks, additional nature soundtracks, full retina display support, built-in alarm, both a male & female guide and, much more. 3. Meditation Timer Pro ( iPhone + Apple Watch ) :- If you are looking for the best meditation app, you can use Meditation Timer Pro on your iPhone and Apple Watch. 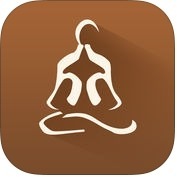 With the help of Meditation Timer Pro app, you can keep yourself relax from anxious, tense, worried etc, this app also reduces your stress, you can set amazing sound for beginning, interval switching & cool down end, you can start, stop, restart or resume meditation and, you can also create unlimited reminders to remind you practicing meditation. This meditation and mindfulness app has lots of unique features such as default meditations, powerful statistics function, passwords protection, adds 3D Touch function, support transferring data to health app and much more. 4. 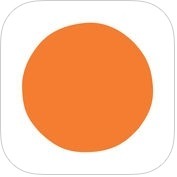 Headspace: Guided Meditation & Mindfulness ( iPhone + iPad + Apple Watch ) :- Headspace is one of the best and helpful guided meditation and mindfulness apps for iPhone and iPad, that lets brings peace of mind in your daily life. With the help of this meditation app, you can pause and play the session without having to reach for your iPhone and, you can keep your eyes shut and your mind focused. Headspace is also the life changing skills of meditation and mindfulness. 5. 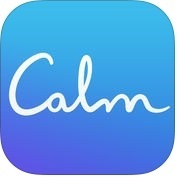 Calm ( iPhone + Apple Watch ) :- If you want to live peacefully and joyfully, you probably should use Calm app on your iPhone and Apple Watch, that lets thousands of experiencing less anxiety and better sleep. It is the perfect meditation and mindfulness app for learners. Calm app has lots of unique and helpful features such as calming anxiety, gratitude, happiness, focus & concentration, deep sleep, managing stress, non-judgement, walking meditation, body scan, more than 25 soothing nature sounds and scenes to use during meditation, breathing exercise to relax, more than 20 sleep stories, 7 day and21 programs for both beginner and advanced users and much more. You can also track your progress with daily streaks and time spent meditating. 6. Stop, Breathe & Think ( iPhone + iPad ) :- With the help of this meditation and mindfulness app, you can find peace of mind anywhere easily. Stop, Breathe & Think app has lots of advanced features such as more than 50 tailored meditations, customizable meditation timer with choices of chimes and soundscapes, meditate to start and end your day, tracker for your emotions pre and post meditation, guided meditation and yoga videos designed to help like stress, anxiety & depression, integration with the health app, and more. You can track daily streak, weekly, top emotions and total time meditated and more. 7. Omvana - Meditation for Everyone ( iPhone + iPad + Apple Watch ) :- This is one of best personal meditation and mindfulness apps that increased your happiness, sleepness and better health lifestyles and decreased your stress levels. 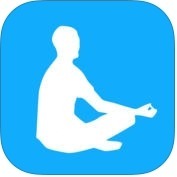 Omvana app has lots of useful and unique features such as guided meditations for all aspects of your life, a variety of meditation experts, a background music mixer to personalise your meditation practice, meditations that range between 3 to 60 minutes, healthkit integration that recognises your stress level and helps you keep calm. This meditation and mindfulness app is helpful to beginners. 8. 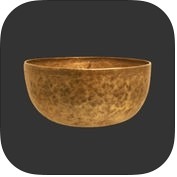 Insight Timer - Meditation App ( iPhone + iPad ) :- Insight Timer is popular and the best meditation teacher with beautiful meditation music for iPhone and iPad. 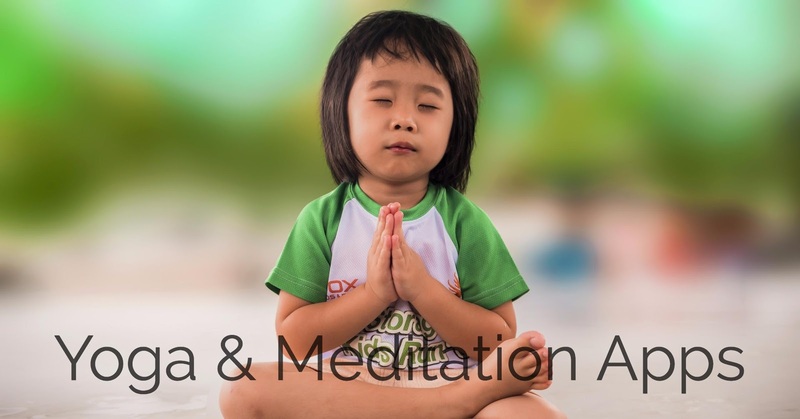 This meditation and mindfulness app has several amazing and user-friendly features such as more than 1,000 meditation teachers, more than 5,000 free guided meditations, more than 800 free music meditation tracks, popular meditation timer, deeply peaceful bells with polyphonic overlay, ambient background sounds, synchronization between devices session extensions, integrates with the Apple Health app, and much more. 9. Mindbliss: Meditation and Relaxation. Meditate Zen ( iPhone ) :- If you want to reduce anxiety, boost self-esteem and live peaceful life with simple meditation techniques, you can use Mindbliss-meditation and relaxation app on your iPhone. With the help of this meditation and breathing exercises tool, you can keep yourself stressless and live healthier lifestyle. 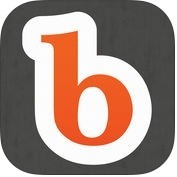 Mindbliss has lots of fantastic and helpful features such as guided meditations that reduce anxiety and give you stress relief, advanced brain enjoyable technology for deep positive transformation, visulization exercises for clarity & confidence, hypnotherapy to gain control over subconscious fears, 3D nature soundscapes and, other useful features. 10. 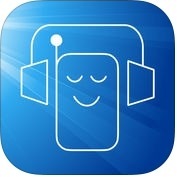 Relax Meditation: Mindfulness, Sleep Sounds, Noise ( iPhone + iPad + iMessage + Apple Watch ) :- If you want to improve your awareness and live peace of mind at your fingertips, you can use Relax Meditation app on your iPhone, iPad, Apple Watch and other iOS devices. With the help of this meditation and mindfulness app, you can keep your nerves healthy by learning and practicing meditation and, you can also access to the 5-day introductory path to meditation. Relax meditation app has several unique features such as boost your overall health, improve your relationships, increase your focus and awareness, improve your productivity deep sleep and much more. 11. The Mindfulness App: Meditation for Everyone ( iPhone + Apple Watch ) :- Are you looking for the most mindfulness and meditation app for your iPhone and Apple Watch? If yes, you can use this Mindfulness app. This app lets you get more relaxed and better peace of mind, and change your lifestyle. This mindfulness and meditation app has lots of effective and unique features such as you can start with a five day guided practice and introduction to mindfulness, you can customize your meditation with guided introduction and bells, you can keep track of your meditation journey, you can access unlimited meditations and courses on calm, relationships, focus, and more. 12. 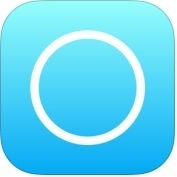 Aura: Mindfulness - Stress & Anxiety Daily Relief ( iPhone + iPad + Apple Watch ) :- With the help of Aura app, you can control your stress & anxiety, you can reduce stress and increase your positivity through 3 minute meditations, you can track your mood, learn about your mood patterns, and visually see yourself imporve, you can receive daily reminders for mindful breathers and, you can also express gratitude as a habit through daily reflections. Aura is an effective but simple mindfulness app for iPhone, iPad and Apple Watch.